Did you find Cash for Junk Cars Clearwater FL when you searched “junk my car?” If so, you’ve reached the right place to get cash for your old or unwanted cars. We pay cash for all types of cars in Pinellas County, FL and surrounding Tampa Bay! Your car does not have to be in bad shape for us to make you an offer. We know that many people have old cars that are simply unwanted. Why try to sell it outright, when Cash for Junk Cars Clearwater FL can make you a fair offer with free towing? Text us a photo with info of your unwanted car and we’ll let you know if we can make you an offer. Wanted, dead or alive and paying cash for junk cars. Maybe you have been procrastinating about trying to get cash for a car that is basically dead. Cash for Junk Cars Clearwater FL is a reliable Tampa/Clearwater car removal and towing service and we buy dead and running cars! Don’t assume your car is too “junkie” for us to buy. Simply text us a photo of your dead hooptie and we’ll let you know if we can make you a cash offer. Cash for rusted or wrecked cars can be easily removed from your property. If you have been frustrated not knowing what to do with your wrecked car or rusted hunk of junk in your driveway, call us today. We can make you an offer of cash for your car plus tow it away for free. We take all makes, models of cars in any condition. 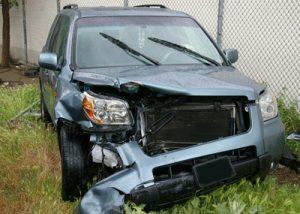 Junk your car today with Cash for Junk Cars Clearwater, FL .. You’ll be glad you did!